If you’ve ever been in the market for a custom PC, you’ve probably considered building your own. But is building your own gaming PC really a good idea? 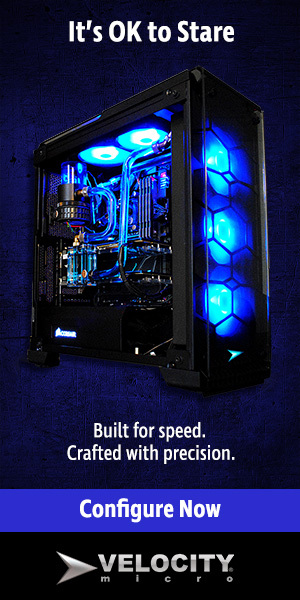 Or is it better to just stick with the pre-built machines that are likely to give you a well-rounded experience? In this article, we are going to discuss the pros and cons to building your own custom computer so that you can make an informed decision. What are the Pros to Building Your Own Custom PCs? There are many reasons why you might want to build your own PC. It’s Cheaper. Yes, it is cheaper to build your own PC rather than investing in a pre-built high-end workstation. This is because you can buy each part for a less expensive price than what it would cost to purchase an entirely new workstation. You Get What You Want. When you purchase a pre-built workstation or gaming computer from one of those massive OEMs, you rely on whatever options they decide to offer. This means that you could be paying for parts that you don’t need and don’t want. Piecing together your own system gives you exactly what you want – nothing more, nothing less. Sense of Pride. After all of the research, assembly, trouble shooting, and software installation, you’ll have something that you built yourself from the ground up. If that doesn’t instill a sense of pride, what will? Custom PCs are not the best choice for everyone. Here are some drawbacks to think about. You Have to do Everything Yourself. You need to have at least a little background in computer parts in order to be successful at building your own PC. You will need to take the time and effort to install the hardware, configure it appropriately and work out troubleshooting issues. No Support. There is no support available like you would get with a preassembled laptop. For instance, Velocity Micro has an entire PC Support Hub that includes tutorials, warranty information, customer service and an FAQ directory. Plus, all support is based in the U.S.
No Complete Warranty. All computer parts have a risk of failing, so it’s important to be familiar with your warranty and what it covers. Rather than having an all-encompassing warranty for your gaming computer, you’ll only have warranties for specific parts. And chances are, if something goes wrong, one manufacturer will blame the other. As you can see, there are both pros and cons to building a custom PC. It all comes down to what you want/need in your workstation, how much you’re willing to pay and whether or not you feel comfortable having separate help desks and warranties. If you’re still on the fence about what to do, we encourage you to browse the extensive selection of computers and laptops from Velocity Micro. They offer the best of both worlds: custom features with all the benefits (i.e., lifetime support, complete warranties) of a preassembled system. ← New GeForce GTX 1080 is Here – AND IT’S AWESOME!